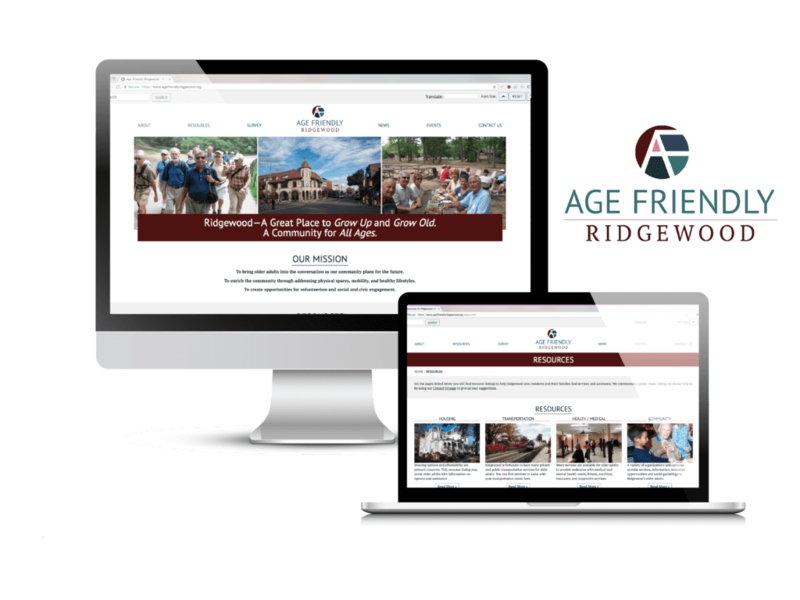 Age Friendly Ridgewood is a new initiative in Ridgewood, NJ with a goal of keeping the community vibrant and strengthening it by focusing on 55+ members. We used the common “maroon” color known in the Ridgewood community to inspire a modern and recognizable color palette and logo for the organization. Then we worked with them on how to best present the resources they had gathered to the community. Once the website was created we designed supporting marketing pieces to help spread awareness of the initiative including business cards, postcards, stickers and a printed resources booklet. The group has gained community awareness and secured additional grant funding to continue to spread awareness of their mission and make the Ridgewood Community welcoming to all ages.